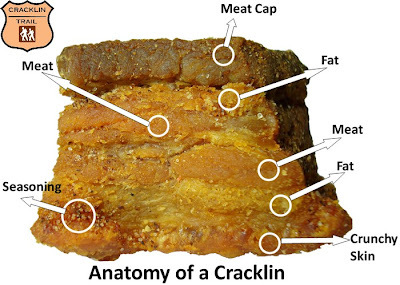 Cracklin, by most definitions, is not just pork rinds. 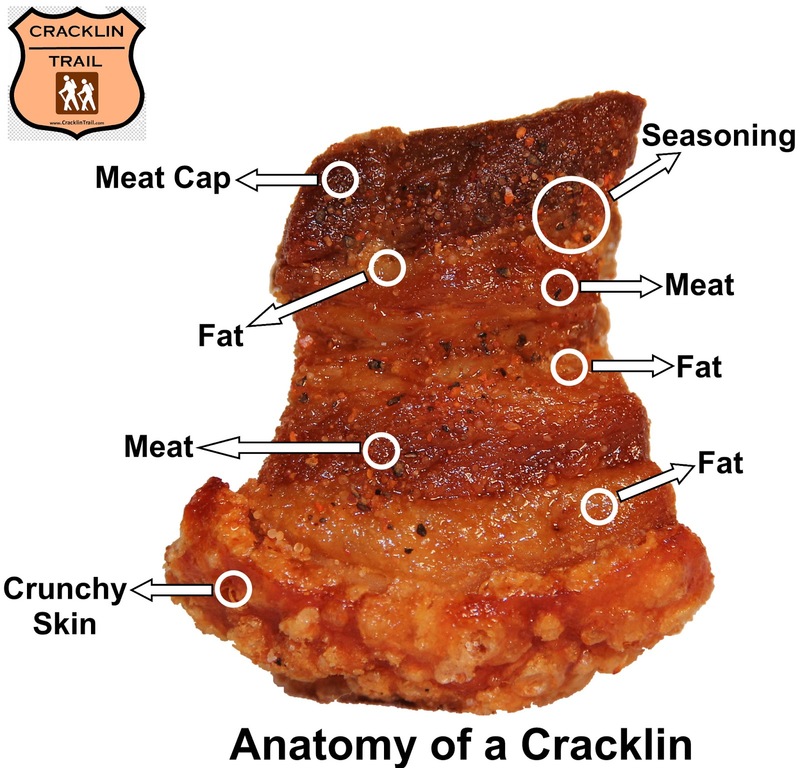 Every bag of cracklins will have pieces containing only the crunchy outer skin, only fried fat, and even only meat. 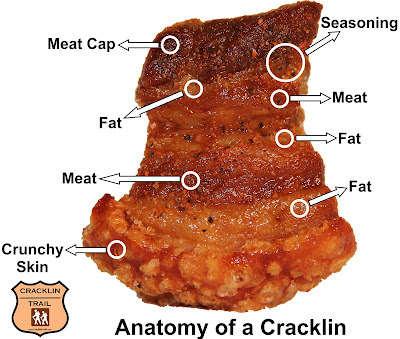 The most prized pieces are those, like the one pictured above, that have all three components fully intact.